Samsung Electronics unveiled its new flagship smartphone Samsung Galaxy S5 at the Mobile World Congress wireless show in Barcelona, Spain. Voice calling feature coming soon on Whatsapp ! WhatsApp - The world's biggest messaging service , which Facebook has just bought for $19 billion, will add voice calls to its product in the second quarter of this year, its Chief executive said on Monday. With more than 450 million users worldwide, WhatsApp, KakaoTalk and WeChat have punched a hole in telecom operators' revenue in recent years by offering a free alternative to text messaging. The news that the most powerful of them was adding voice calls to its service will likely be seen as worrying for telecom operators globally, which got about $120 billion from text messaging last year. BunkMaster is an application that is exclusively developed for the students who want to catch up with their attendance in the event of absence from the class. BunkMaster can be used for maintaining a minimum level of attendance percentage for school/college students. We all know how boring our lecture sessions are now-a-days. We all need a break in between those continuous hours of lectures, and that’s when we actually bunk classes, to get some fresh air or to recharge our mind. But everything cannot always be in our favour, there is always a villain to spoil our day and here the villain is our Attendance. That thing (our Attendance) usually gets out of our control, the only time we know about it is when we are barred from attending our exams due to our low attendance. SO IN ORDER TO GET A COMPLETE CONTROL OVER OUR ATTENDANCE, WE CAN USE BUNKMASTER! Well Bunkmaster is not only for bunking classes, but also to have a total control over our attendance if by any reason we had to be absent for a day. Before using BunkMaster application we need to know how this app works. After installing, launching the app will direct you to the Welcome page, where you need to fill out your basic details like name, semester, college name, minimum required attendance percentage, number of working days, number of hours in a day, number of subjects. Make sure that you enter the correct details because this data is used all around the app. Then you will be directed to the Subjects page, where you have to enter the subject names in specified columns, you can change or edit this section later, if you want to. Then you will be led to the Timetable page, where you need to select the subjects for each hour from the drop down menu. You need to enter the timetable for each day. Then you will be led to Current Status page, where you need to enter you current status for each subjects, attended and total hours, If you are using the app at the starting of the semester you could just ignore the page and click save. And finally you will reach the Home page. From now onwards, launching the app will direct you to the Home page. Home page features some hidden tricks depending on your attendance percentage. Top half of Home features a table with your current percentage and Bunks available/need to attend hours, and a pie chart to show your percentage. And now to the hidden trick, if it’s your first time use in the semester, the background of the table will be Blue, and if your attendance percentage is greater than your required then its Green, if it’s above the minimum percentage - 10%, then it will be Yellow, and anything below that will be Red. The bottom half consists of Menu to different pages. In Today page, you can update your attendance daily. It is required that you enter the data daily. Here you can select the subjects from drop down menu and mark the subjects as A-attended, B-bunked, F-free. In Details Page, your basic details you have entered in Welcome page are displayed. In Timetable page, you can view the time table for every day. You can also edit the time table using the Edit but tin. In Status Analyser Page, your current attendance percentage, status, total and bunked hours, bunks available/need to attend hours are displayed. It features the similar hidden features as in the Home page. Status Analyser also displays detailed subject wise analysis. One of the most interesting feature is the Go to page, it helps you to go to any particular day in the past and enter the attendance of that day. If attendance for that day is already entered you will be redirected to History page were you can view the details for that day and other days by pressing next or prev buttons. 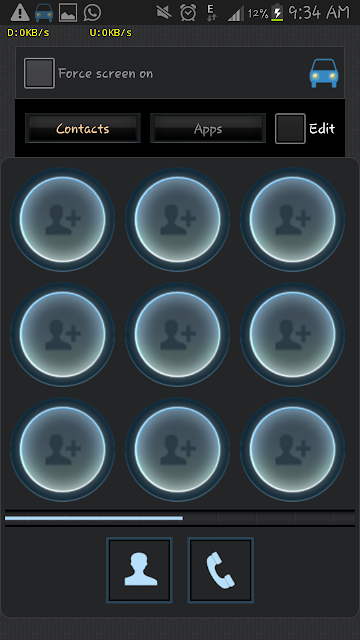 An Edit button is also introduced in the latest version so that you can edit the attendance of that day. There is also a navigation drawer or sliding menu as is common in android application nowadays, trough which you can go to any page from any page. It also features a Reset Button. The Reset Button is used to reset all the data and details you have entered previously. It is useful when you start a new semester or course. With all these goodies, you could say that the developer took great care in carving out all the features that each bunkers crave to have. And this app has more potential than other apps that are now available in the stores. And this makes us to say,” Now it is time to use BunkMaster, Its keeps us out of attendance trouble. cheers ....!!!”. There is also a developer community in Google+ for BunkMaster for people who want to test the beta versions of the upcoming version and provide the review and suggestions to make the app better. Here is a golden chance for TechnoDrips users, you will get free 6 months hosting for your website from one of the most trusted and award winning hosting service Hostamania. There is no conditions or hidden charges, you will get 6 months webhosting for $0, that is you need to pay nothing for first 6 months.I'm sure this is the great deal for you and you will never find any other hosting service offers you with $0 rental. You can buy any of their premium plans for free by this offer , that include with mini, business and pro hosting plans. After 6 month you can choose any one of these plans and continue with their service at cheapest rates. Hostamania is a partnership between Hulk Hogan and Tech Assets, Inc. a technology firm that has provided web hosting services for over 15 years. The new venture will leverage the well-known Hulk Hogan brand, along with a powerful cloud hosting platform developed by Tech Assets, Inc. “Making a website has never been easy, but with Hostamania, I’m getting back in the ring to make sure that anyone can set up a site,” said Hulk Hogan. “I didn’t get to be the world champion by settling for anything but the best, so I’m very excited to have a great staff and some amazing technology in my corner. This is going to be huge, brother!” Hostamania is a division of Tech Assets, Inc. With over 15 years in the website hosting industry, Tech Assets, Inc. hosts over 120,000 websites. Tech Assets, Inc. has offices in Columbus, Ohio; St. Petersburg, Fla.; and San Diego, Calif.
Just Signup and enjoy...Hurry !! This is the best opportunity to grab your free 6 months web hosting offer. If you are facing any problem with this offer please comment us below. Ofcourse,this is the best way to impress your friends. 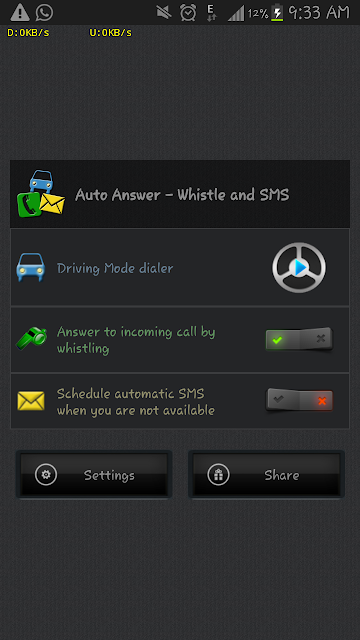 Auto answer is a free application that will helps us to answer phone calls by whistling. It is very helpful while you on driving. 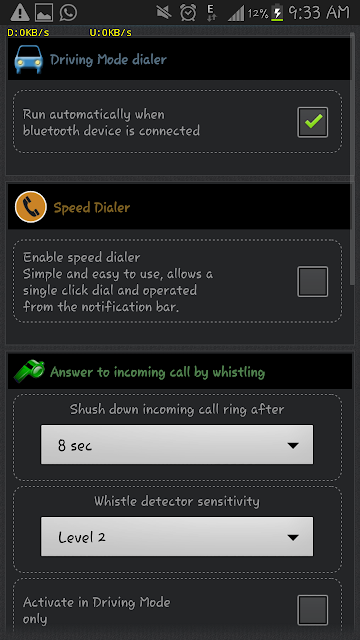 That minimize the function to swipe the screen and picking the call with other hand, you are only need to whistle loudly, the app will recognize your sound and accept the call at the instant. This app also provides scheduled texts to your loved ones, that is you can set a text message when it want to sent. That also minimize the difficulty of typing while driving. 3. Yes.. you have done everything.Now just exit the app and if you want to test the app , just ask your friend to call to your number and start whistling!